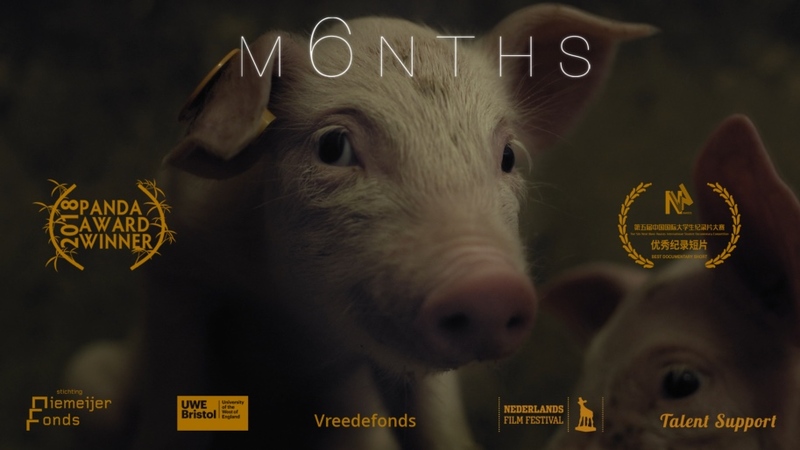 The pro-vegan film M6NTHS: life through the eyes of a piglet, created by filmmaker Eline Helena Schellekens, is now available online. M6NTHS, a 12-minute film shot entirely from a pig’s point of view, without any comments or voice-over, offers a unique perspective into the animal's life growing up on an industrial farm. Filmmaker, Eline Helena Schellekens, said: “As we enter the Year of the Pig, could we resolve to get to know this intelligent animal better? The film will be available online over a two week period, exclusively on the websites of animal welfare organizations, including Compassion in World Farming. Head of Campaigns at Compassion in World Farming, Sean Gifford, said: "M6NTHS invites the viewer to think about how we rear and treat farm animals." Gifford added: "As the film highlights, sows are often confined in cages across the continent but they are not alone. Millions of other farm animals also spend much of their lives imprisoned in cages. "Pigs, hens, rabbits, quail, ducks, and geese all experience unimaginable suffering in cages on farms throughout the EU. It’s time to stop this cruelty."